Yes, I’m a geek hence the reason I write for thisgeeksworld.com. Or at least I was before kids when I still had time for geeky endeavors. 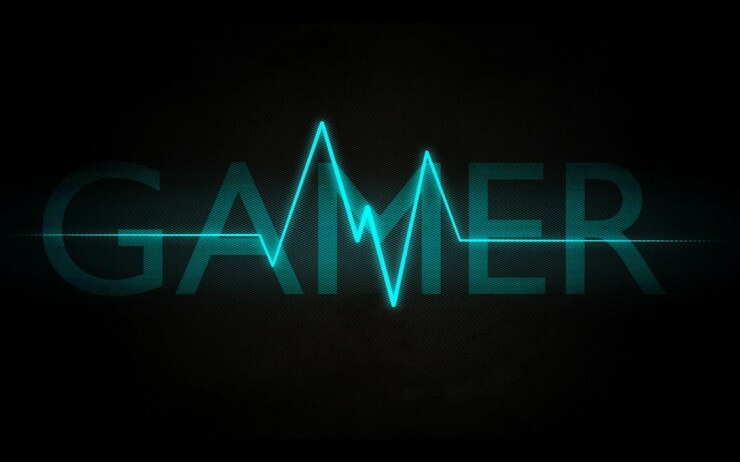 Video games have taken a back seat to Elmo and the rest of the Sesame Street gang, Epic Rap Battles of History and learning every verse gave way to the Wiggles and trying not to remember anything that they sing, and reading…. Well, I still read as long as the kids are asleep or I have one hand available while giving the baby girl a bottle in the middle of the night. Instead of focusing on the latest book series out or waiting very patiently (Yeah right!) on the next book in a series, I have gone back to my geek roots reading old pulp and sci-fi stories from the 30’s 40’s and 50’s. Kindle allows me, often on the cheap or even better free (overdrive app is a godsend for the cheap geek), to find these old stories lost to the annals of time except to the pulp lovers of that genre. 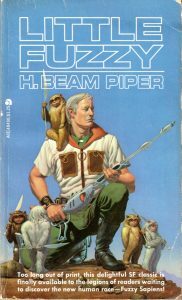 Right now, I’m revisiting an old friend I made by accident years ago when I picked up the Complete Fuzzy by H. Beam Piper at my local comic book store on the cheap. Not sure what I was in for, but for three dollars and getting a complete trilogy it was worthy of a chance. I found a rich world with well-written characters and a thought provoking story with a lovable main charter in Little Fuzzy. No way could I have known how far down the Fuzzy hole I would go with those three dollars well spent. 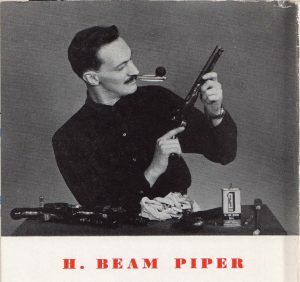 With the book placed with so many others upon a shelf and awaiting such a time as when I couldn’t beat a boss level and swore off video games again, this was in my middle teenage years before the internet and walkthroughs, it was when a large storm came up that the power went down that I started my adventure into Piper’s world. Reading all three books in one sitting by oil lamp helped set the ambiance for a space adventure with morality questions that I didn’t expect and have rarely experienced outside of a physiological or religious text. But mostly I really liked the cute fuzzy friends. After this, I had to find more books, find more out about the author but most importantly find if there were more Fuzzies. Asking at the local library led me to some other short stories but few and far between because the rights to the author’s works had lapsed and most were long out of print. Talking to the librarian I found out the only reason they still had these was that they had been checked out within a year but were to be put into the annual book sale. Of course, I asked if I could go ahead and buy them but as all good stern librarians must she said no and even those were lost to me. Years later, after the technological revolution finally reached the South, I found Project Gutenberg had, by donated time from fans and volunteers digitized many more of his works. 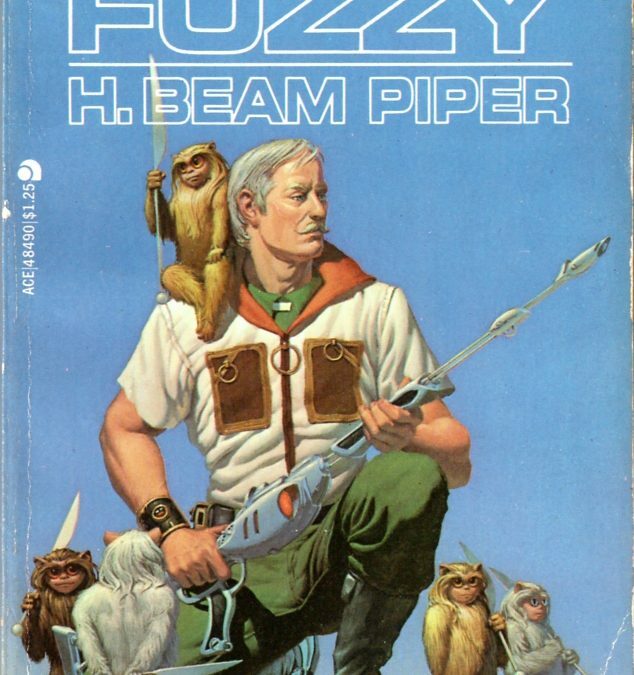 Not only was I able to finally restart my adventure but this led me to many other writers of the same time with thoughts and questions like Piper’s but to other authors who had been influenced by his work. Now being able to read these books I tried to get my friends to sample them and be drawn into these amazing worlds and timelines along with me but this was the time when Peter Jackson was bringing The Lord of the Rings to the big screen and even many of my geeky friends were of the opinion, “why read about it when we can just watch it.”…..I didn’t have words then and I still don’t about that kind of thinking. So, I set forth by myself uphill…both ways….in the snow, wait that’s a different story. Continuing to read over the years and later subjecting my wife to long tirades about no one to share these great books with, they aren’t her cup of tea as sometimes they deal with time travel and as seeing he doesn’t use a police call box, she won’t allow that in her stories of choice thank you very much, but she introduced me to many other authors along the way. (What I said about not waiting for books goes out the window for Ilona Andrews and Patricia Briggs) My blushing bride went so far as to gift me The Complete Paratime with all the short stories of Lord Kalvan and other Paratime police stories in one volume. 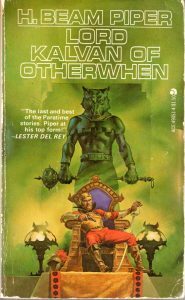 So now I subject…I mean introduce to you dear reader an author that was influenced and influenced many writers and lovers of sci-fi and hope that you get lost in the Paratime space but can find your way back. Just to be on the safe know, where your towel is and don’t panic. When I was a kid, my Dad got the newspaper every day whether it was delivered to our house by carrier, when times weren’t so tight, or if he took the hotel copy at the end of his desk clerk shift when times were very tight and we ate a lot of pinto beans and cornbread. Sitting in his third hand recliner with a cup of coffee and cigarette as this was in the days before the ban of everything bad for you, he would read each article, sale ad, and even the obituaries but would leave the comics till last. Pulling me up on his lap I can still smell the hot coffee steaming in his mug as he read me Snoopy (yes I know the name was Peanuts but let’s be real the dog was the star of the show), Garfield, and my personal favorite Calvin and Hobbs. This is what I give credit to for learning to read and amazing my kindergarten teachers with knowing the alphabet so early. Come to think of it, I think that was the last time I impressed any teacher…. At first he would read and reread them to me and I would laugh even when I didn’t get the jokes but something happened along the way and I started to know the simpler words and then sentences until one day my father found his youngest and last child reading him the comics instead of the other way around. This changed our daily ritual little except it was now my job to do the reading and his to do the laughing. In those comic panels, I learned a lot and started to develop my twisted sense of humor. I have to give thanks to all those artists that helped make me who I am today. Or maybe apologize; I’m not sure which is more appropriate. Snoopy taught me that the simple things in life like a good root beer and friends, no matter how different and even if they are a little yellow bird, are to be treasured and when music plays: dance… if no music is playing then dance to your own music even if it’s only in your head. 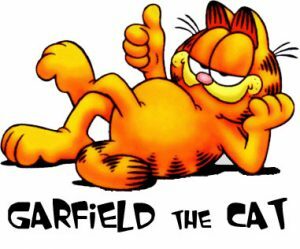 Garfield taught me to hate Mondays and as a young kid, I didn’t know how important that lesson would be. School starts on Mondays, work starts on Mondays, and worse of all it stays Monday all Monday long. We really should get someone to look into abolishing Mondays but anyone with the power to do that is the one that teachers left in charge to write down the names of the unruly kids when they left the room and they actually did! Calvin and Hobbes taught me all the most important lessons I could learn at an early age. Where do you hide when it’s bath time? In the tub, it’s the last place they would look for you. What do you do when it snows? Build killer snowman armies with which to terrorize the neighbors. 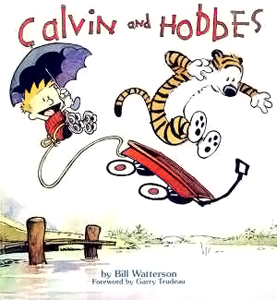 It was with Bill Watterson’s, the creator/writer/artist, sense of humor that my own building blocks started to come to life and my father and myself could laugh not only at the absurdity of life depicted in the strip but at it in real everyday life as well. 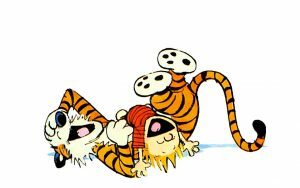 Hobbes taught me it’s alright to be myself, even if you’re an imaginary tiger, and that not all girls are icky no matter what your best friend thinks. Let’s not go into what I learned from Spaceman Spiff, some things are best left up to others to learn for themselves. 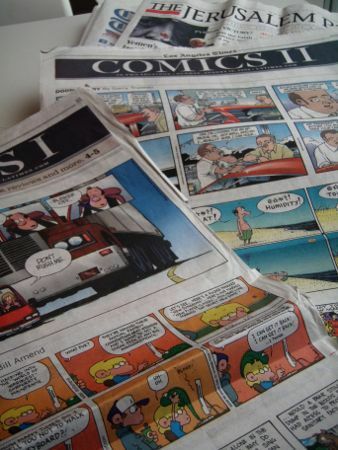 Of course, I later went to Saturday morning cartoons, my parents bought me VHS cartoons to keep me entertained and out of their hair, and eventually Cartoon Network became a thing and I stopped going outside once and for all but my love for the newspaper comic strip never died. Along with it an appreciation for all the laughs, lessons, and feels along the way. Most of all Mr. Davis, Mr. Schulz and Mr. Watterson thank you for giving a little boy trapped in a grown-up’s body the memories of time spent with my father that I will cherish for the rest of my life and try my hardest to recreate with my own children. Back in the stone ages before we had streaming services like Hulu, Netflix, or even YouTube, we had these primitive devices called DVDs and actually had to have the disc in a physical machine that, after the viewing, you had to TOUCH and change it by hand… I know, I know we may as well have been viewing cave paintings….Oh, I forgot to mention most weren’t even high res. One of the first I stuck with was Mother, Jugs and Speed (IMDB rating of 5.9/10 Rotten Tomatoes 50%) and it is terrible in all the ways that only the 70’s can provide. Yes, I know, Bill Cosby is in it and I find it ironic now with all the drug use references, but this was before all the allegations that we all make easy pudding pop jokes about now. 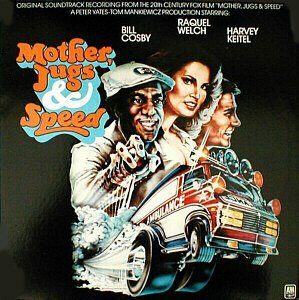 With Harvey Keitel, Raquel Welch, and Bill Cosby this had some big names of the times…. they might have spent a little more money on writers though. After the opening shots from me, the future love of my life went right for the jugular with Rockula (IMDB 5.5/10 RT 51%) about a “teenage” vampire that can’t lose his virginity due to a curse. OK, I’ll be honest, besides the scenes with blues legend Bo Diddly my brain went kind of numb watching this. 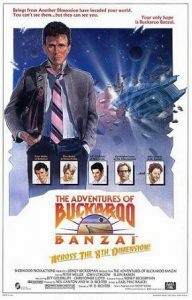 Put out in 1990 it has that 80’s camp that was so popular with Ski School ….WAIT A MINUTE the same guy plays the lead in both of these. I smell a conspiracy… Toni Basil plays the vamp mom with an un-natural love for her son and has some strange dance scenes and there was something about a rhinestone peg-legged pirate killing someone with a ham bone. Losing the last round, I knew my next choice had to be something that would truly make her cringe but the rules (that we made up as we went along) said that it had to be a real film. Nothing straight to home video, so that ruled out all of my Mary Kate and Ashley Olsen kid detective movies. 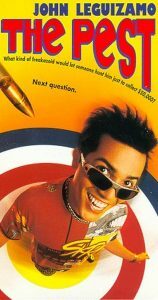 So I went with that 1997 classic The Pest (IMDB 5.0/10 RT 9%). What do you mean you’ve never heard of it? All right, most people haven’t and neither had she. John Leguizamo brings most of the voices in his head to life with this terrible story about being a Miami con man who agrees to be hunted for cash. 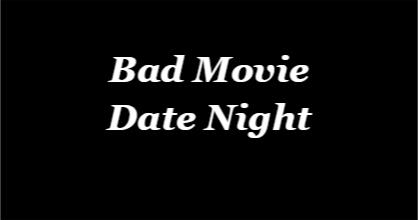 There is bad acting, terrible jokes with worse rapping, and nothing redeemable about this movie at all…..It’s one of my favorites. With one last shot at the title of I went with a cult classic guaranteed to make people’s skin crawl. 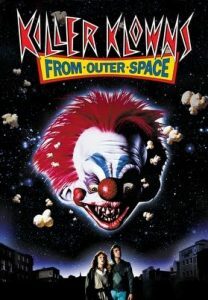 Combining bad acting with childhood fears is Killer Klowns from Outer Space – 1988 (IMDB 6.1/10 RT 71%) this camp filled circus tent is as bad as the name sounds and throwing one of her own cards against her they even drink blood, all be it from crazy straws, from victims cocooned in cotton candy. Giant klowns, little people klowns, and balloon animals that hunt you down so the klowns can kill you with man eating popcorn how could I lose? ……She loved it. No groans, no sighs, and then she wanted to watch it again….she is the perfect woman for me. After learning of our mutual klown love. I thought nothing of her last choice. Surely she would choose something we could share like our last film. I never knew that I could be so very wrong or how bloodthirsty my future bride could be when winning (at a later date I would learn that it is winning at anything) was at stake even if no stakes had been named. To this day she likes to bring up my reactions to this movie and if, sometimes…..just maybe I’m getting on her nerves or annoying her a little too much she will threaten to put in on again…on continuous play and hide the remote. I love the woman, married her and we have two beautiful children together but I never knew she was so evil…..the red hair should have tipped me off. Jenny was a\only looking for kisses, waiting to see what was in the safe the guy found in his house, and Kevin showing up at the front door to ask for bananas. If you understood those references then hello fellow redditor and if not let me explain….sorta. Reddit proclaims to be to the front page of the internet but it’s much more than that and less all at the same time. Confused? Well then you’re on the right path already. 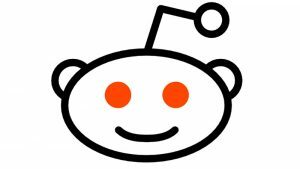 Millions of hits per month with thousands of post, most you never see because they don’t get enough upvotes to make to the front page, make Reddit a site unlike others. With users mostly anonymous it does make for some weird posts but for the most part, it’s about allowing freedom to post, view, and upvote/downvote without worrying about what Aunt Gertrude thinks is appropriate. Inside Reddit you have subreddits, r/earthporn is an example and not a NSFW one. What’s NSFW? Sorry, I keep forgetting to break it down even further. Reddit also uses tons of abbreviations to let you know what the post is or concerns before you even click on the link like not safe for work or NSFW. Just don’t click on not safe for lunch NSFL because they are usually right about that one. Sticking to the front page does allow you see many posts from lots of different subreddits but when you start to find ones that have to do with your own interest, this is where you find, at least to me, the beauty of Reddit. One of my favorites is r/talesfromthesquadcar with stories from police and correction officers telling some of the funniest, heartbreaking, and day-to-day stories you never get to hear from someone in their profession. 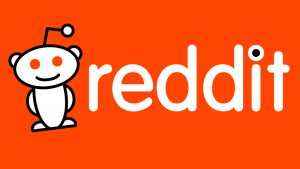 Don’t know what you’re into or have no idea where to start, hit the random button and be taken at – you guessed it – random, to a subreddit. Last time I used it I ended up on r/notmyjob and laughed for a good twenty minutes at screw ups that should have been caught but somehow passed inspection, bosses approval, and made to the public for us to point and laugh at getting imaginary internet points when we are OP and post it before others. Don’t ask others IRL what their Reddit username is. Ignore what they say about your mother if your OP, or if not make sure to tell OP what you did with his mother. That’s it, now you are ready to go and conquer the inter-webs and bask in the glory of upvotes from all your peers with insightful discussions and original thoughts. Of course, after you’ve been on Reddit for awhile you see what all was wrong with that last statement as well.